Younger au pairs are energetic: One of the best qualities that younger au pairs possess is great energy and excitement. They enjoy caring for children of all ages and have the stamina to keep up with busy schedules, sports activities, tidying up, and playing games. Age does not reflect maturity: Although younger au pairs may seem inexperienced by American standards, most of the younger candidates who apply for the program have extensive hours from a variety of previous childcare experiences. Most of the candidates also come from large families and have spent years caring for their younger siblings and cousins. They may only be 18 or 19-years old, but they have developed great maturity from their work and personal experience. The important thing to remember is that an 18-year-old au pair candidate from abroad, is quite different than an 18-year-old American high school graduate. They are coachable: Since younger candidates are still growing and learning themselves, they have a willingness to experience new things and learn about childcare from their host family. Younger au pairs are still forming how they best relate to children and thus are more willing to accept advice and tips from their host parents. If you would like to learn more about our available younger au pair candidates or have questions about the au pair program, contact us today! Living like a member of the family… that’s easy, right? It means spending time with them, but how much time, and when? Is there a certain amount of time that is expected? What if the family has plans? Should the au pair go to? What if the au pair doesn’t want to go? Au pair’s aren’t supposed to do heavy housework, but wouldn’t a member of the family pitch in and help clean? Obviously there isn’t an easy definition for the cultural exchange component of the au pair program where the au pair lives with the family like a member of the family. Each family is unique and each match is unique so there is going to be a transitional period where host families and au pairs are feeling the situation out. Here are some hints that might help that adjustment. Personal Time vs. Family Time: Au pairs and host families are going to want to spend time together, but also time apart. It is important for families to still have time together without their au pair, just like it is important for the au pair to have time to relax as well as explore the U.S. No one can say for sure what the perfect balance is, but if the au pair is spending all of her/his time in their bedroom or out with friends, then that is not meeting the intent of the program. On the other hand, if the au pair is spending all their free time with the family, then he/she is not getting out and experiencing all the opportunities that are around. Housework: Au pairs are not supposed to be doing housework that isn’t child-related (they are not maids) but they are also suppose to be pitching and helping out like a member of the family. This is a hard balance to find, but it is important. A good way to look at it is if the family is working, the au pair should be helping, too. So if the host parents are making dinner, then the au pair should offer to help or entertain the kids. She/he should also offer to make dinner sometime or clean-up after dinner. Working together is a great way to feel closer to each other and learn about each other. Vacations: One of the wonderful aspects of the au pair program is au pairs can travel with their host families and help them out. It can also cause some confusion because schedules are off and roles are less defined. If a family needs their au pair to travel with them, then they still have to provide them with room and board and a schedule for their on-duty and off-duty time. It is a good idea to discuss the different needs that the family will have ahead of time so everyone understands what the expectations are. If the family doesn’t need the au pair to come, then they need to provide provisions for him/her while they are gone. Dining and Activities: A great way to spend time together is for host families to invite their au pair to the different activities they have planned, whether it be a simple dinner out to something that is more of a special occasion (say a sporting event). If they are inviting the au pair along, then they should be prepared to pay for her/him, like he/she is a member of their family. If the family doesn’t want to bring the au pair, that is fine, but they need to make sure she has the resources to make her own meal at home. On the other side of the coin, host families need to be sensitive to the fact that au pairs will sometime decline an invitation. They might have plans or just want some time alone. Like was mentioned before, the important thing is to find the right balance for each match. Just like most relationships in life, communication is the key! When host families and au pairs can be open and honest with each other, then they can find the right balance. Want to learn more about the Au Pair Program? Contact Au Pair International or view some profiles on our website. Koninginnedag, also know as Queen’s Day, is celebrated in the Netherlands on April 30th. It pays tribute to their Queen Beatrix who has been serving as Queen since April 30, 1980, when her mother abdicated the throne to her. She is carrying on that tradition and plans to abdicate her throne to her son Willem-Alexander. Once he is king, the Dutch will celebrate Koningsdag, or King’s day, on April 27th (which is his birthday). Willem-Alexander will be the first male monarch since 1890. Want to send well-wishes the Royal Couple? You can do that here. Learn to speak in Dutch at Digital Dialects. Learn to play the traditional children’s game of Hul Gul. Learn about a Kid’s Life in the Netherlands. Color a map, flag or tulip at DLTK. Want a Dutch au pair? Check out a few of our great candidates from the Netherlands. 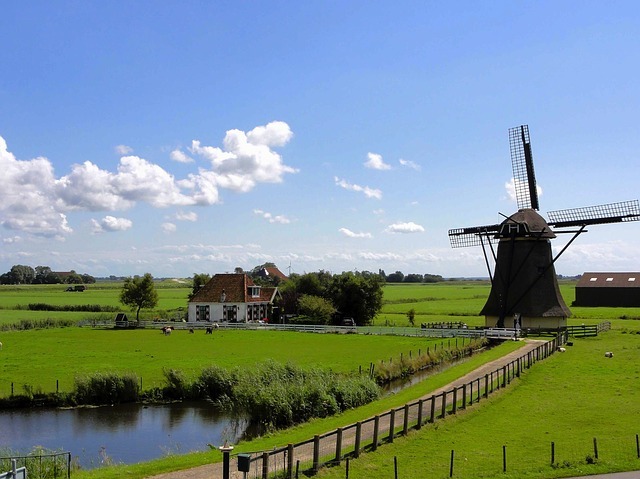 Are you interested in being an au pair and traveling to The Netherlands? Au Pair International place au pairs all over the world, including The Netherlands. Find out more! KidsHealth offers these tips to people caring for children with autism. Follow the child’s routine, especially at bedtime or mealtime. Kids with autism prefer structure and can get upset if routines are different from what they’re used to. Ask the parents about the child’s favorite toys so you can play with them. Go slowly. One tactic is to sit alongside the child and mimic his play. That might attract his attention and lead him to join you. Don’t be offended if the child decides to play alone or limits interactions with you. This is part of the disorder. Maintain a calm environment. For example, skip a trip to the playground when you know a neighborhood gathering is likely there. Avoid bringing your friends or other people the child may not know into the home. Go slowly when it comes to physical contact. Find out from the parents how their child reacts to affection. A quick hug or light tickle could set off a child with autism. 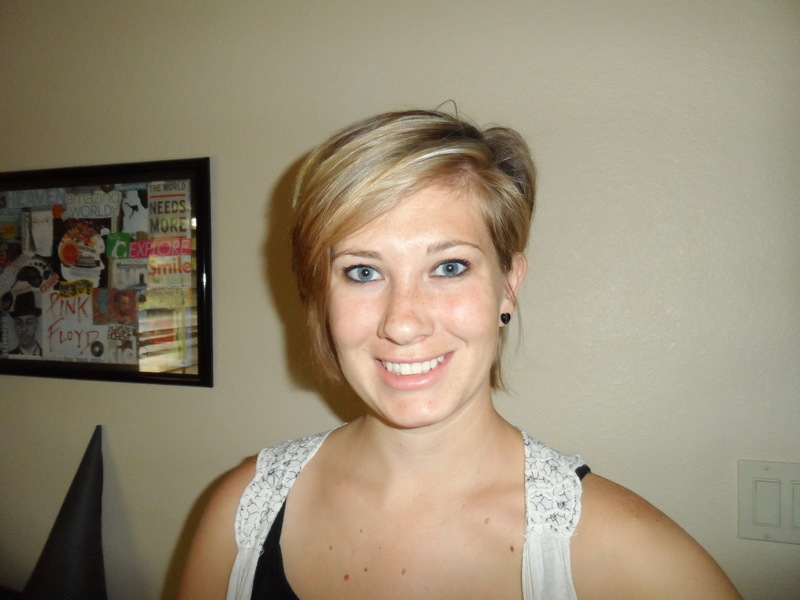 Celeste is an au pair from South Africa for a family in Arizona with a child with autism. She has shared her experiences with us. Did you have experience with special needs or autistic children before you went to your host family’s house? I had worked as a high school teacher back in my home country for two years. In a school environment you deal with a lot of different children. I have a special needs friend and family members with dyslexia, but other than that I can’t say that I have experience in working with special needs children. I was aware of the fact that it wasn’t going to be easy, and I also knew that I would gain a lot of experience and personal growth in working with this family. 2. What did the family do to help you get to know their children? They gave me a neat family handbook with information on each person’s personality. 3. What is challenging about working with children who have autism? One needs a lot of patience and understanding, and I think the most challenging for me is that a lot of the things they do and the way they act will sometimes seem like its naughty child behavior. But truth is that they act in certain ways we don’t understand because of things they’re struggling to cope with and because the understanding of social cues doesn’t come natural to them. 4. What do you love about working with children with autism? I love that every day is a challenge. I love how much I learn each and every day, not just about them and autism, but also how much I learn about myself. They helped me look at the world in a different way and appreciate that I have health and friends. I love how they find things fascinating that we overlook every day. It’s fulfilling to see how they make progress every day and how far they have come. They are remarkable kids and I’m very proud and feel very privileged to be a part of their lives. 5. Do you feel you make these children’s lives better? How? I feel that they make my life better. Being with them every day is fun and they put a smile on my face. They get really excited and enthusiastic about things they’re really interested in. Even just hiking or baking brownies. I guess I make their lives better by showing them love and understanding and by helping to teach them live skills every day. 6. What activities do you like to do with them? We like to go hiking, play at the park and swimming. S. enjoys painting, singing, dancing, reading and playing dress up. They like to play “Just Dance” on the Wii. A. loves to talk and watch videos about the weather, fireworks and explosions. He also loves to sit outside when there’s a storm coming and watch the clouds and lightning. The boys really enjoy to do science experiments and to make their own crystals. J. likes to swim, watch cartoons, play board games, read and help me bake cookies or brownies. We also enjoy going to the Children’s and Science Museums together. Au Pair International has au pairs with experience with children with autism. Check out some of their profiles. Spring is in the air. What would be a better way to celebrate than to get out and enjoy the beauties of springtime in our National Parks. 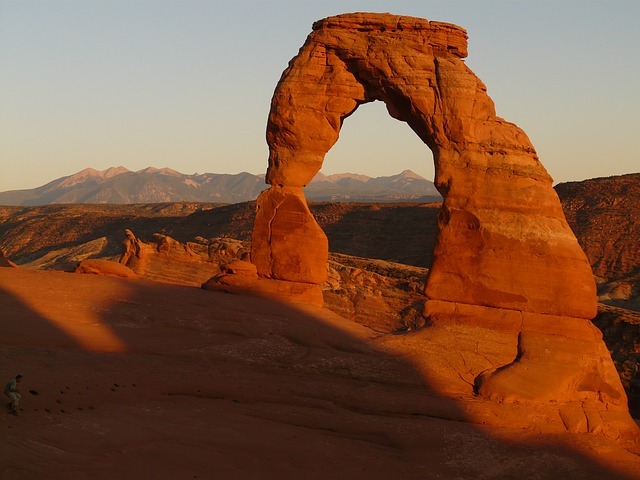 There are 401 National Parks and all of them are not charging an entrance fee April 22 – 26. You can find the one closest to you at the U.S. National Parks website. Here are some ideas of things to do. Take a Hike: Nothing compares to the beauty of walking though a National Park where you can see and hear all the wonders of nature. You might see a moose or deer and even if the biggest thing you spot is a chipmunk, you will still come away being rejuvenated and refreshed. 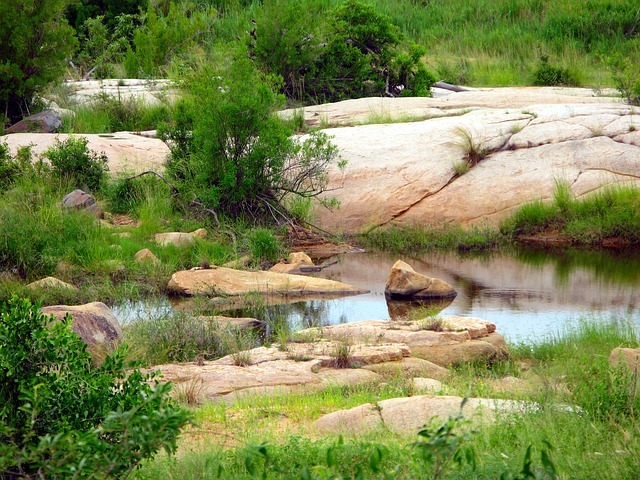 Take a Picnic: If you don’t have a lot of time available, you can still talk a little time and enjoy a picnic at a National Park. Picnics are also a great alternative for parents with small children who wouldn’t be up for a long hike. Take a Drive: Even if the weather isn’t warm enough to get out of the car, there is a lot of beauty to be seen by just driving through a National Park. Many National Parks will also have visitor centers with the history of the area and information about the animals you can find in the park. 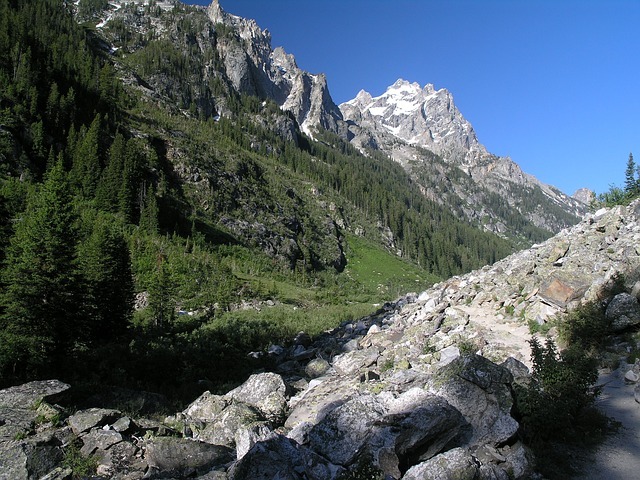 What is your favorite National Park to visit? Through my work with Au Pair International I have had the opportunity to have women from Japan, Paraguay, Thailand, Germany, China and Moldova come and stay with me and my family. It has been an amazing experience for my children to learn about these beautiful countries and their rich cultures. It has instilled in us a desire to see the world and meet different people. The au pairs also have the opportunity to learn so much. Many come to the U.S. only knowing what they see in the movies. They have the unique experience of staying with a family and participating with them like a member of the family. They come away from this experience having strengthened their English, broadened their global understanding and gained a personal confidence in their own abilities and worth. Many go on to do amazing things. So I encourage you to take the opportunity to travel and really experience a different culture and people. Don’t be afraid to really get to know the people and places you visit. Share with your children the value of each culture, language and people. By doing so, you will be helping to promote worldwide peace and understanding. Lisa Kempton is the Director of Domestic Programs with Au Pair International. She has been helping families and au pairs in the Au Pair Exchange Program for 5 years. You can follow her on twitter. The typical reason for getting an au pair is “I go to work and need someone to care for my kids” and sometimes “I want my kids to learn a certain language”. While these are great reasons that people get an au pair, there are some other benefits that people don’t always think about. 1. Your au pair can move with you. One of the hardest things about moving is finding new childcare for your children, especially if you work odd hours. We have several families who move a couple of times per year or have several houses that they split their time between. They love that they can bring their au pair from location to location and have consistent, loving childcare. 2. Your au pair can travel with you. If you go on lots of business trips or family vacations, you can bring your au pair with you so you don’t have to be away from your children or try to find childcare along the way. 3. Your au pair can tutor your children. Many families get au pairs to teach their children a new language, but most of our au pairs have some college and a lot of au pairs have graduated with degrees in things like Economics, Physiotherapy, Law, Chemistry, Biochemistry, Political Science, Social Work, Tourism Management, Environmental Science, Advertising Design, Medical Assisting, or Business Administration. These au pairs have a lot of knowledge that they can pass on to your children. 4. Your au pair can coach your children in different skills and hobbies. Many au pairs are experienced in different activities such as violin, painting, tennis, dance, guitar, baking, piano, swimming, aerobics, and yoga. Wouldn’t it be great to get a childcare provider and piano teacher in one? Or maybe your au pair can teach you whole family about yoga or some other activity. Most au pairs have many skills that they would love to share with your family. 5. Your au pair can be a taxi driver. Some families don’t need childcare as much as a taxi driver, especially if they have older children. Whether it’s running kids to school, activities or appointments, au pairs can take over those responsibilities so you can focus on your responsibilities. 6. Your au pair can be the night nanny. Some families choose to have their au pair take the night shift so they can spend more quality time with the children during the day. 7. Your au pair can be a nurse. Some of our au pairs are trained as nurses (Aliona, DeuRe) or speech therapists (Ju Yeon). Others have experience with special needs children (Anna, Karen, and Thandeka). If you have a child that has special needs, many au pairs are uniquely qualified to give your child the one-on-one attention that will help your child learn and grow. Also, all au pairs can care for your children when they are sick so you don’t have to miss work. What are some different reasons that you would like to have an au pair?